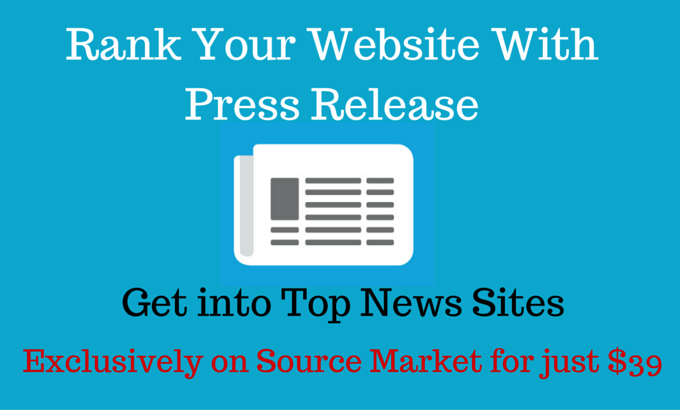 Get REAL backlink from Press Release site. We will write a 250 words professional press release and distribute it to top 25 Press release distribution networks like Myprgenie, Pressreleaser.org, Prsync etc. Professional PR writing by our experienced writer. Manual submission by our trained stuffs. We will send you the written PR for your confirmation. We will not publish the PR without your approval. Report in a excel sheet. Exact 25 live links in the report file. 1. Your main targeted keywords(3-5 keywords). 4. Some instruction for the press release writing. 6. (Optional) A Title, if you want to publish your own(Must be within 90 characters). After finishing writing we will send you the press release for approval.